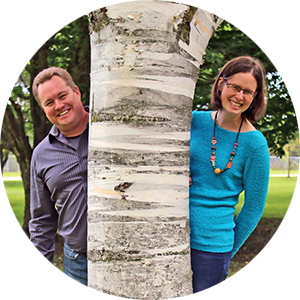 Cam and Tanya are the co-founders of MakerClub for Kids at THEMUSEUM in downtown Kitchener and also a new venture called Tinker Truck. Both Cam and Tanya grew up with hammers in their hands and dirt under their fingernails and enjoyed families that always strived for a do-it-yourself approach. They’ve tried everything from making preserves in the summer to undertaking multi-year major additions at the cottage. In 2013, with kids of their own, they decided to form MakerClub as an organization of equally adventurous parents who wanted their kids to grow up with a confidence for “trying anything.” The club currently meets once a month to teach kids as young as five how to use real tools like power saws and soldering irons. Meetings now regularly sells-out days in advance and topics have included robotics, 3D modelling and screen printing. In 2015 they expanded on the club into a full time business called Tinker Truck serving community events (like Maker Expo! ), schools, libraries and even birthday parties. Their goal is to expand the availability of Science and Engineering based children’s programming in Ontario. Check them out at www.makerclub.ca and www.tinkertruck.ca.